....need to be inviting places! Don't you think? 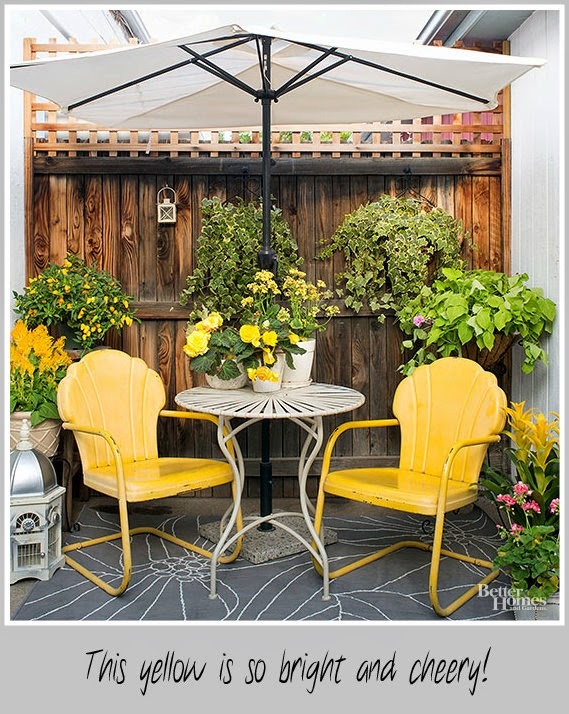 I believe that a comfortable, inviting outdoor space is just as important as what is on the inside of a home. Once spring arrives, it is great to be outside. I received my weekly email from Better Homes and Gardens. It was full of Vintage Outdoor Living ideas. 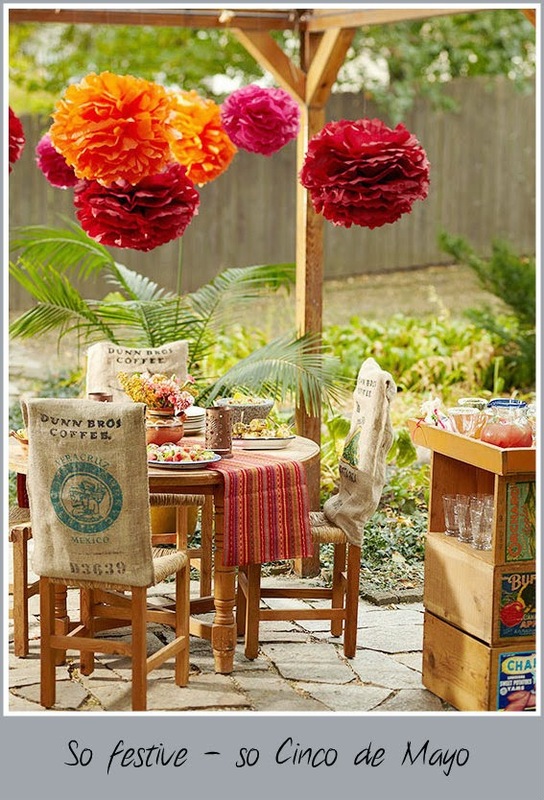 Check out a few of these and then hop on over to BHG to see the rest of them! And this little area is so festive. Reminds me of Cinco de Mayo. Margarita time! I love this red. The color just pops! I think the old vehicle in the back was perfect for this photo. It makes the red stand out even more! 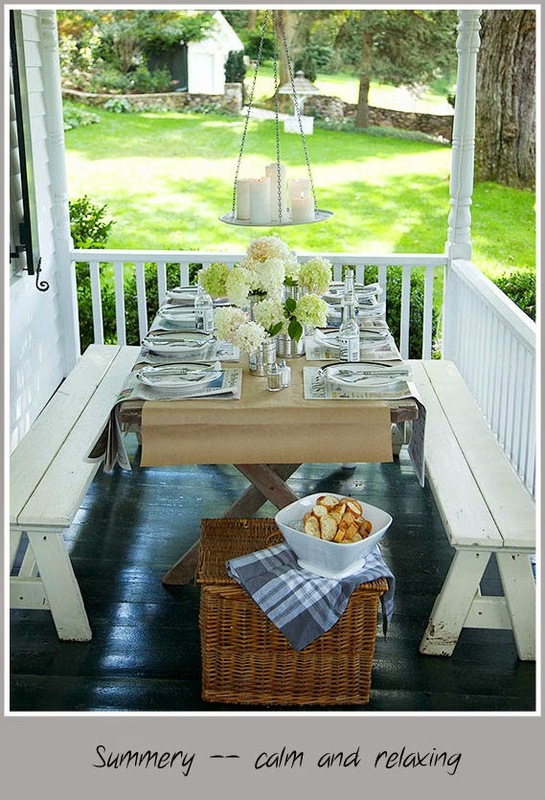 This porch is so wonderful for a picnic....full of all things spring and summer. Can't you just feel that gentle breeze across your face? I would definitely eat out here! I don't know why, but when I saw this photo, I immediately thought of a vintage, convertible Volkswagen! 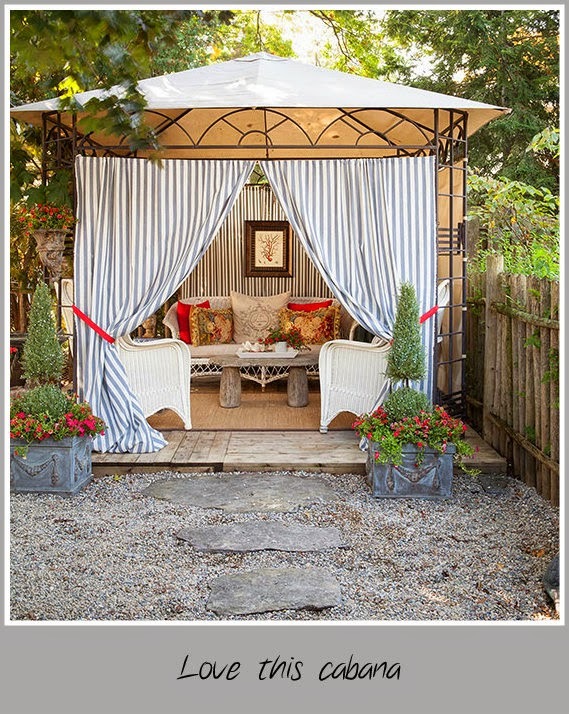 And what a lovely idea for this cabana! I don't know about you, but these outdoor spaces definitely have me pining for some warmer weather! Lovely photos. I'm still working on our outdoors here, so this was great inspiration. Weren’t they though? They have some great photographers who just make you feel like you are in that space. Definitely some inspiration for me also. I've got to get busy once this next cold snap passes! I love living outside for most of the ear. No covered porch so I have to improvise. I love the red. 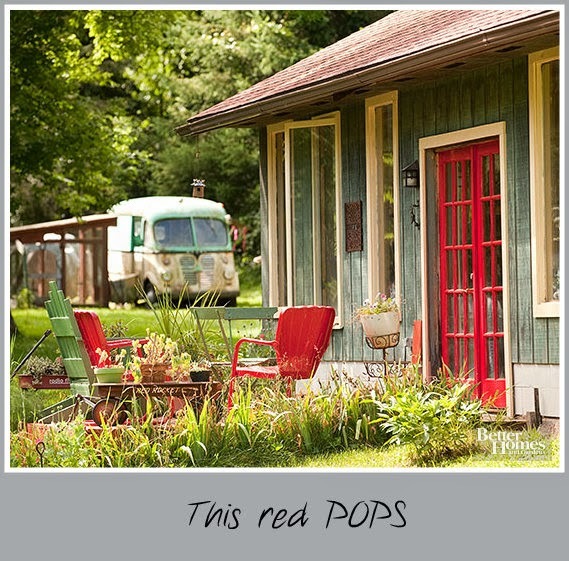 I love the red also, but that porch, with the candles, flowers and white...has my heart! 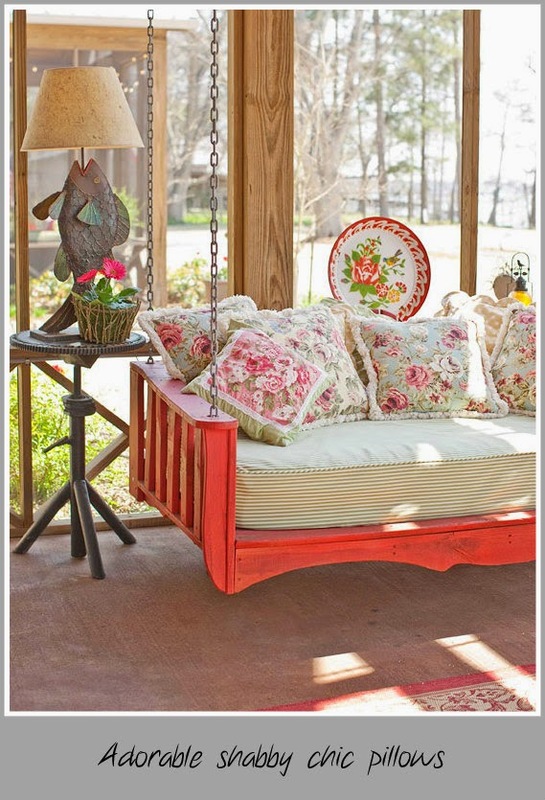 :-) We have a screened in porch at this house and I've got to get busy fixing it up. In Texas, there is no outdoor living...you just melt outside. The good thing...no gnats...too hot for those things to even come around!